So I am openly declaring my love for Jo Malone’s Pomegranate Noir Diffuser. I know it is more expensive than other diffusers on the market, but oh my gosh is it worth it. 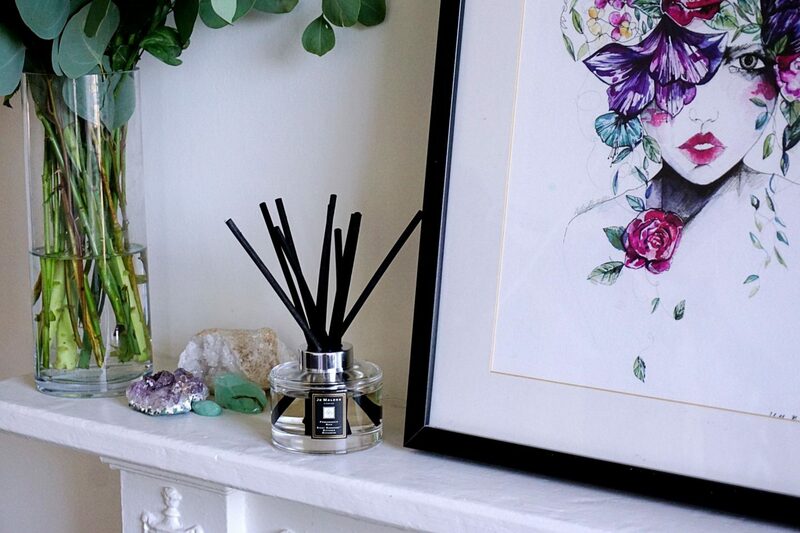 This diffuser FILLS the entire room with its scent. The levels of fragrance oils in this product must be so high because in comparison to others I have tried on the market, this diffuser has truly been the most consistent. I will compare it to Molton Brown’s reed diffuser as I have purchased both. I loved the scent of the Molton Brown reeds but they had nowhere near the same impact on the scent of the whole room. I also felt that the scent from the Molton Brown reeds faded after a while, whereas the Jo Malone reeds have an impact every time I enter the room. Molton Brown reeds are £45 for 150ml, Jo Malone £62 for 165ml. For me, if you are looking or a diffuser with lasting effects, the price is well justified. I am a scented candle fan, but reed diffusers give you a scent that’s long lasting that becomes your homes scent. It’s not an overwhelming, smack you in the face scent, it is a comforting ‘ahhh, I’m home’ scent. Pomegranate Noir is Jo Malone’s signature scent and every time Zack walks in to the room he literally says ‘Mmm it smells so good in here’. It is my favourite winter scent, it is rich and warm for the colder months with its base notes of pink pepper and spicy woods and fruity top notes of pomegranate, raspberry and plum. There are three other scents to discover in the collection, Red Roses, English Pear & Freesia and Lime, Basil & Mandarin. They are all beautifully designed in signature Jo Malone packaging. The look like pure elegance in whatever situation you decide to place them, from the dressing table to the bathroom.